As a filmmaker your top priority is likely bringing your next production to life and maintaining creative inspiration, but you also know how important the business side of film production is. This includes understanding the legal and insurance requirements needed to protect your next film. Insurance is a critical part of the film business, especially E&O (Errors and Omissions). If you understand what E&O is and how it can actually serve your production needs, you’ll set your next film up for even greater success. Producers Errors and Omissions Insurance covers all of the potential legal liabilities and defense costs against lawsuits alleging unauthorized use of titles, formats, ideas, characters, plots, plagiarism, unfair competition or privacy, and breach of contract. It also protects against alleged libel, slander, defamation of character or invasion of privacy. Errors & Omissions is a requirement for distribution deals with studios, television, cable networks, DVD and Internet sites prior to the release of any film production. In fact, if you haven’t released a film yet, you’ll discover that production financing will probably not flow until your E&O coverage is in force. Consider the risks: You’ve released a film that is a HUGE success, and someone accuses you of stealing their idea, or script. No surprise, this happens a lot. For example, after AVATAR was released in 2009, a man spoke out and claimed that he had actually pitched this multi award winning movie to AVATAR Producer, James Cameron a few years earlier. An E&O policy would provide a lawyer in this instance and would pay the legal fees and judgement costs if the filmmaker lost. 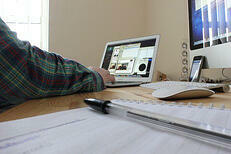 Planning an online production? YouTube is a hot bed for E&O disputes. A while back, a music video director posted a parody of a well known movie that went viral, garnering over 1 million views, but unfortunately he didn’t have E&O and the video was taken down as he could not afford the legal costs. A big loss for him and one he could have avoided if he had obtained E&O coverage. Premiums for E&O vary based on the content of the production. A straight forward documentary typically cost $2,500 to $4,000 while you can expect to pay $3,500 to $8,000 for a feature film for the industry standard 3-5 year policy term. Every project is unique and requires a custom E&O policy. Standard limits are $1,000,000 per claim/$3,000,000 aggregate with a deductible of $10,000. Ideally, speak to an E&O insurance expert who can advise on the risks related to your particular film. We’d love to help with that. The first thing an insurance provider will ask you is: Do you have “Title and script Clearance”. This is a way to discover if you’ve done your legal due diligence to make sure you aren’t engaging in copyright infringement and that you have the right to use the story and title. As you set out to obtain E&O, as a filmmaker you must begin clearance work prior to principal photography, continue during filming and complete it at final cut. Note: It can take up to 10 working days for a project to be cleared and coverage to be in place so you’ll want to start the E&O process early to ensure that your cash flow is not impacted. Once obtained, be sure to check your production/distribution/financing agreements regarding the start date for your coverage, as some financiers require Errors & Omissions coverage to be in place for the first day of production before they will provide the first cheque that allows you to start production. Your E&O policy will provide defense costs if the producer is sued and will pay the judgment costs if the producer is found liable. Until a lawsuit happens, enjoy peace of mind knowing you’ve got the right coverage in place. About the contributor: David Hamilton is President + CEO of Front Row Insurance, one of the world’s largest entertainment insurance brokers. Front Row offers E&O insurance for filmmakers. E&O Policies start at $1,250 and certificates proving insurance coverage are provided immediately at no cost. Prior to providing a Producers E&O quote, the film insurance company will recommend that you obtain a copyright report. At Front Row, we recommend that a copyright report be obtained on any book, play etc that the producer is buying rights to, or for any script that was not written as a work for hire by the production company’s own employees. 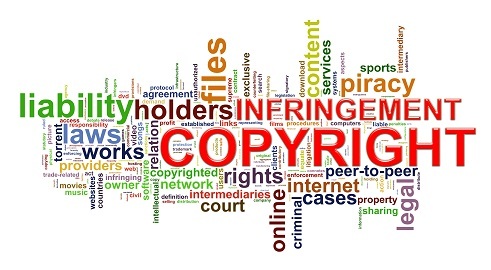 The copyright report is important because they make you aware of any conflicting assignments that hinder or destroy the right to use the underlying work. 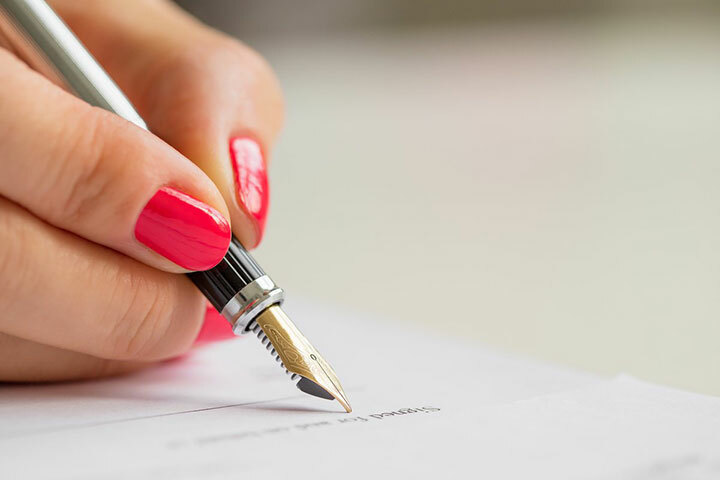 It is not common for someone to try to defraud you, but many owners of the underlying work do not fully understand previous option agreements or other contracts, or co-owners of the rights may already have assigned the film or TV rights to someone else. A recent claim involved a Producer of movie sued for copyright infringement. Plaintiff alleges that her unpublished novel is the basis for the movie. The Producers Errors and Omissions policy will provide a lawyer and pay the legal fees to defend the producer that purchased an E&O Policy for Producers. Once the assignment of the film/TV rights to the underlying work is obtained, the producer should register that assignment with the copyright office. This registration will prevent someone who obtains conflicting rights from establishing a priority of rights by beating the producer to the registration procedure. If you would like a no obligation Producers E&O insurance quote, please click here. Front Row is an independent film insurance broker that works on behalf of filmmakers to transfer the risks of filming to insurance companies for the lowest possible cost. Front Row has offices in Vancouver, Toronto, Montreal and Los Angeles. Refuse to read scripts, story concepts etc. without getting a written waiver of any future claims by the writer. All submissions are held (preferably unopened) by clerical staff until they send out a release form and get back a signed copy. Maintain good record keeping systems of what submissions have come in, who saw them, and how they were handled. Limit the number of people who actually review these projects. Be careful how you respond to submissions. Keep track of where the project ideas come from and when. An example of a potential claim: plaintiff sues producer for copyright infringement. Alleges that movie being produced is based on a script submitted to the producer years before that was rejected. Producer made notes throughout the script recommending changes and plaintiff believes these changes are consistent with the movie. The amount claimed was not specified. Producers Errors and Omissions Insurance Quote: Are You Being Offered The Right Coverage For Your Needs? If you are shopping for an insurance quote for producers E&O insurance make sure you are paying for the coverage that you need. 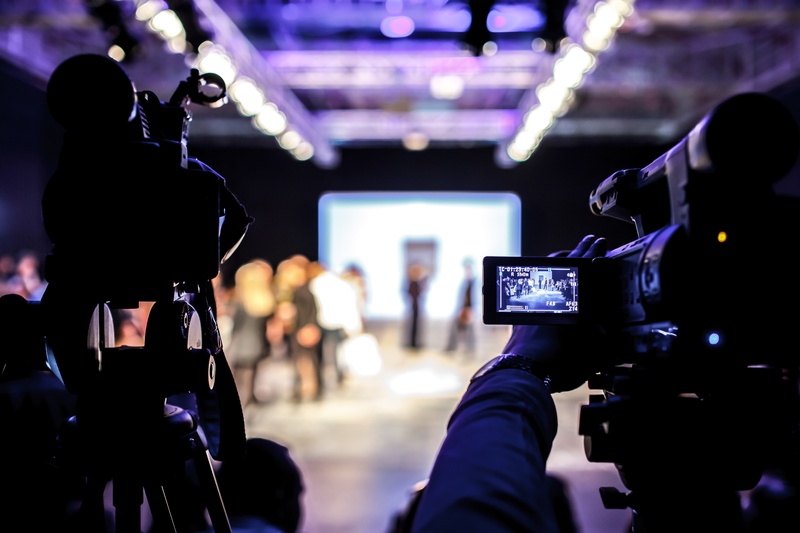 To endure and succeed in today’s increasingly global entertainment business, video and film producers must continually keep pace with evolving technology, marketplace demands, competitors, and a changing legal landscape. Complicating the picture further is an expanding litany of media liability exposures, any of which can result in a calamitous lawsuit…from any number of sources. • A person featured in a production sued you for defamation and invasion of privacy. • A woman who was mentioned in a production claimed that it caused her to suffer emotional distress. • A writer, alleging a production used his storyline, sued you for copyright infringement and misappropriation. • A theatre company sued your production company, alleging trademark infringement over a film’s title. Even if you did nothing wrong, defense and settlement costs can escalate to hundreds of thousands (if not millions) of dollars. One solution is Chubb’s MediaGuard E&O policy that specifically addresses the nature of these risks. Chubb has insured video and film producers for approximately 40 years, so they’ve seen producers sued over their content-related activities time and time again. They understand that in today’s constantly shifting legal landscape, the precise nature of media liability lawsuits can be difficult to predict. Unfortunately, one thing that can be predicted is the financial and reputational havoc such lawsuits can cause. • “occurrence form” which covers activities that occur during the policy period (regardless of when claim is first made). • “All risk” coverage extends beyond specified “named perils” to include risks arising out of core functions of video and film production: gathering and creating information and communicating it to the public. • Built-in merchandising coverage, including third-party licensing of any logo, symbol, trademark, or other intellectual property for use in connection with the sale of goods and services directly relating to a production. • Negligent publication coverage for any claim alleging harm to a person or entity that acted or failed to act in reliance upon the information published. • Our customer fully controls whether to settle without sacrificing coverage and can choose between reimbursement of defense costs or duty to defend. • No “insured versus insured” exclusion with respect to internal copyright disputes. • Broad breach-of-contract carve backs for, among other things, alleged failure to attribute authorship or credit under any agreement to which the insured is a party and alleged misappropriation of ideas under implied contract. • Punitive damages coverage, where insurable by law. • Internet Liability clause with automatic coverage for newly created Web sites after the policy incepts. Front Row Insurance Brokers can offer you a producers E & O insurance quote from Chubb. Click here to get a quote. TV and Film Producers E&O protects producers from unfounded claims elleging misappropriation of film story ideas. AVATAR is a movie that was released in 2009. Most people think James Cameron came up with it, including James Cameron. Until one day a man spoke out and claimed that he pitched this multi award winning movie to Cameron. Sounds like a case where Producer’s Errors & Omissions insurance might come into play. Apparently the two had a meeting in the early nineties, and it was at this meeting that Cameron, also known as the director of TERMINATOR decided to start getting movie ideas from someone he barely knew. Not likely! As the Judge put it: Cameron’s ideas before 1991 included “transporting consciousness to another form, evil mercenaries attempting to exploit resources in a jungle-ike setting, a jungle containing bioluminescent plants and unusual animals, a protagonist fighting alongside natives against a superior fighting force and a sentient planet.” Since the plaintiffs claims appear to be somewhat frivolous, let’s take a look at producer’s errors & omissions insurance and see how it would help in this situation. Producers Errors and Omissions Insurance, covers legal liability and defense for the production company against lawsuits alleging unauthorized use of titles, formats, ideas, characters, plots, plagiarism, unfair competition or privacy, breach of contract. It also protects against alleged libel, slander, defamation of character or invasion of privacy. This coverage will usually be required by a distributor, broadcaster or financier prior to the release of any theatrical or television production. Production financing will usually not flow until Producers E&O coverage is in force. When quoting Producer’s Errors and Omissions insurance on a film project, we always ask if the producers have “Title Clearance” and if they have done their legal due diligence to make sure they aren’t engaging in copyright infringement. In the case of AVATAR, Cameron would have had to represent on the Producers E&O application that to the best of his knowledge he was not willfully copying someone else’s work. In the event of a law suit the insurance carrier will cover defence costs associated with the suit. In addition, the Producers E&O will even pay for rulings against the E&O policy holder. If, however, the client has misrepresented a fact or committed a crime, the Producer’s Errors and Omissions policy becomes void. Film and TV Producers Errors and Omissions insurance is a worthwhile investment if you're a film producer. Looks like a recent parody web video didn’t have producers errors & omissions insurance. A music video director by the name of Joseph Kahn posted a 14-minute Power Rangers parody on Youtube and it quickly went viral, garnering 1.4 million views. All is not well, however, as Kahn says he is being harassed by the owners of Power Rangers to take the video down because they say he is willfully engaging in copyright infringement. This is what producers errors & omissions insurance is for. You see when you embark on a parody production you are immediately on shaky grounds in terms of copyright infringement. If, however, Mr. Kahn had purchased producer’s errors & omissions insurance, the in-house legal counsel would have run title clearance to make sure that he was not doing what he is currently being accused of. In short it likely would have been impossible for him to get insurance had he disclosed that he was using the intellectual property of Power Rangers without written consent. If this is true and he wasn’t able to get insurance then he would be financially responsible for any court ordered restitution he is ordered to pay to the ip holders. All hope is not lost, however. Legal experts are saying there is a gray area where fan fiction is concerned. Usually it’s done by a little guy with not a heck of a lot of scratch and is a judge really going to side with a billion dollar studio over “Fred from his parent’s basement?” Doubtful. In any case, if purchased, producer’s errors & omissions insurance will cover court costs and settlements where the copyright infringement was proven unintentional. Having said this it is important for content creators to do their own due dilligence. Otherwise not even the Power Rangers will be able to save them once the blank hits the fan. The fan of Power Rangers.